Northern Secretary James Brokenshire has said he "rejects emphatically" any suggestion that Brexit will weaken or imperil the political settlement in Northern Ireland. 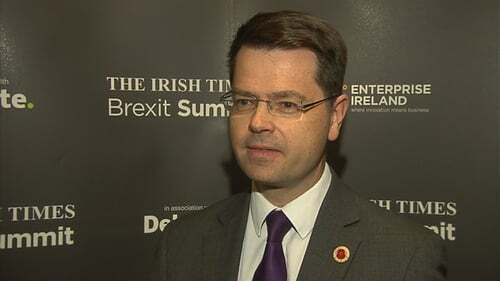 Speaking at the Irish Times Brexit Summit in Dublin, Mr Brokenshire said he appreciated the shock felt by many in Ireland on the morning of 24 June, when Britain voted to leave the European Union, but he said "I firmly believe that it also provides us with new opportunities and a new outlook on what the United Kingdom can achieve". Mr Brokenshire supported remain in the EU, but told the audience it was no good those who are uncomfortable with or dislike the result wishing it away, or believing the UK will hold another referendum. "Article 50 will be triggered and our negotiation with the EU will begin. The country voted to leave the EU in a referendum approved by an act of Parliament and the government is determined to respect the result of the referendum. That is why we will appeal last week’s judgment of the High Court," he said. The judgment in question was a ruling which found the British parliament must decide when to trigger Article 50, not the government. Questioned afterwards about the personal attacks on the three High Court judges by a number of British newspapers last week, Mr Brokenshire declined to condemn the paper. However, he said he respected the rule of law and the independence of the judiciary, and that Britain also valued a free press. In his speech Mr Brokenshire set out five key themes that he said will underpin the UK governments approach to relations with Ireland and the position of Northern Ireland during the Brexit process. First he said "we are determined to maintain and strengthen the bonds within these islands", adding "I most emphatically do not see our departure from the European Union as presenting any insurmountable impediment to that". Second, he stated "there must be no return to the borders of the past. The open border between Northern Ireland and Ireland, along with the Common Travel Area, has served our peoples well. These arrangements existed long before our countries joined the European Union and both our respective governments, along with the Northern Ireland Executive, are determined to keep it as open as possible. Thirdly, Mr Brokenshire said he was also clear there must be no let-up in the security co-operation between all parties that is so vital in the fight against terrorism and organised crime. His fourth point was to state that "the UK government will not take any risks with this hard gained political stability. "That means being faithful to the Belfast Agreement and its successors and I reject emphatically any suggestion that the decision to leave the EU will somehow weaken or imperil the political settlement in Northern Ireland or the peace and stability that we now have," he said. He added that he welcomed the ruling by the High Court in Belfast that triggering Article 50 would not be incompatible with the Belfast Agreement. "We have always said that we will stand by our commitments under the Belfast agreement and the outcome of the EU referendum in no way changes this," he said. Finally he said the UK government will work closely with each of the devolved administrations, including the Northern Ireland Executive, in formulating the UK negotiating position. A hard Brexit would permanently damage Ireland, reducing the size of the economy by almost 4% and cause a rise of almost 2% in unemployment, according to a study by the Department of Finance and the Economic and Social Research Institute. The research examined the impact of different Brexit scenarios. It found that all of them were negative for Ireland. In the event of a hard Brexit, with tariffs imposed on goods and services going in and out of the UK, Ireland’s economy would shrink by 3.8%, unemployment would rise by 1.9% and average wages would fall by 3.6%. In a soft Brexit scenario, where Britain remains part of the European Economic Area as Norway is now, the economy would contract by 2.3% and unemployment would rise by 1.2%. 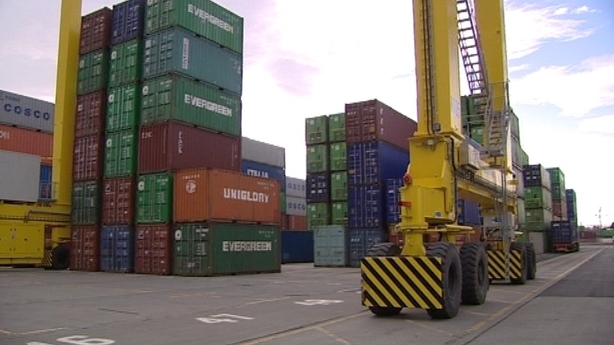 The study examined the impact on the Irish economy ten years after the UK leaves the EU. The projections are on the basis of the Government not taking any action to counteract Brexit and not changing any policies. The paper said there was almost "complete consensus" that Brexit will have a negative effect on the UK economy. It added: "The UK is one of Ireland's closest economic partners, as such, Ireland will be very exposed to the effects of the UK leaving the EU." In a statement the Department of Finance said: "The Government is confident that our economy is resilient and that appropriate fiscal policies are now in place. Minister for Finance Michael Noonan said the various Brexit scenarios which were studied included a scenario where Britain adopted the Norwegian model, with full access to the Single Market; the Swiss model, which has more qualified access to the Single Market; and the so-called WTO model where Britain only has access to the Single Market as a "normal" member of the World Trade Organisation. Speaking at a meeting of eurozone finance ministers in Brussels, the minister said that with a compounded growth rate over 12 to 13 years, there could be a loss to the economy of 3.8% depending on which scenario applied. He said: "While it's a matter of concern, because you never like losing potential growth and potential jobs in an economy, it's not catastrophic when you look at the assumptions. "While it indicates that Brexit is bad news for Ireland, it's the kind of bad news that we can allow for to a certain extent, and will be very useful to benchmark the negotiator's position as the EU and the UK engage." Mr Noonan rejected the idea that the Government appoint a minister or special envoy for Brexit. He said: "The EU has already decided that the negotiations will take place at heads of government level, and that's where the ultimate negotiation will be, so all the departments, including the Department of Finance will feed in to that. "But the point man is the Taoiseach, and the point man for every other country in Europe is the head of state or government."